Forgoe traditional ice trays and pop these stilletto cubes in the freezer instead. 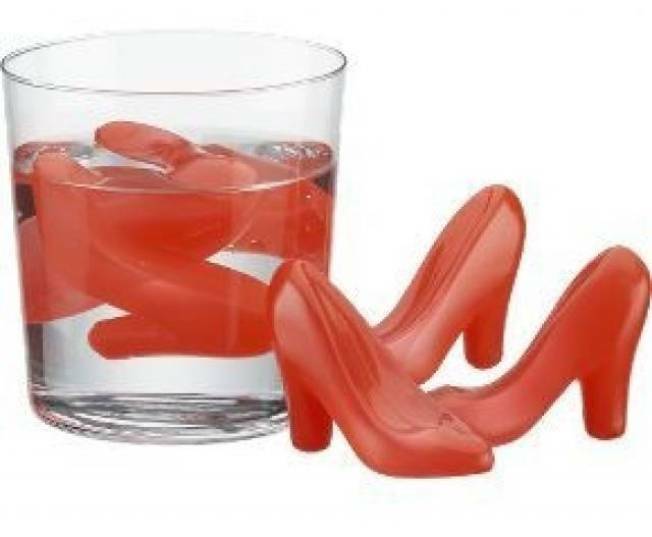 COLD AS ICE: Create a more stylish (and perfectly chilled) cocktail with the Tipsy Toes ice cubes set from CB2. The mini red stilettos come in a set of six, are reusable and way more cost efficient than splurging on a real set of Manolos. $5.95 Get them at CB2. CENTER OF ATTENTION: Relax and put your feet up. We’re lovin’ this rustic addition to a living room; the Yves ottoman made of wood and upholstered in light cocoa linen. It’s available at Jayson Home and Garden. BENEFITS OF BUYING: Join in on Bloomingdale's 14th Annual Shopping Benefit; a $10 ticket (proceeds go to area nonprofits) gets you 15-20 percent off on purchases made that day at the store. There’s also djs, cooking demos trunk shows are more happening all day. 900 N Michigan Ave; 312-440-4460.